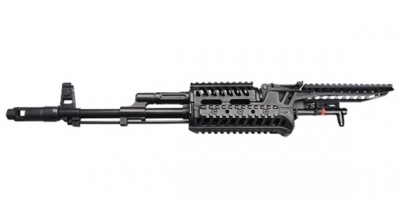 ICS IK74M / IKS74U R.A.S Foregrip and Barrel Set. Metal outer barrel, flash hider, Iron sights, Gas tube and sling point. Tough ABS plastic RIS rail foregrip.